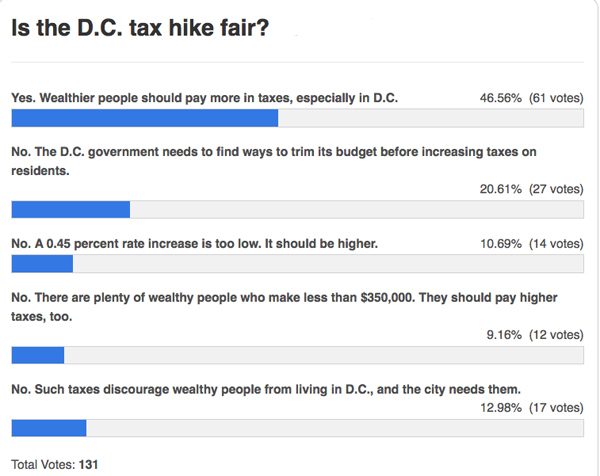 Poll: Is the D.C. Tax Hike Fair? 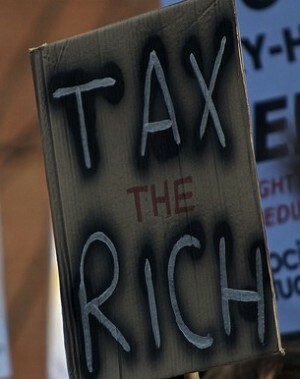 While the national debate on raising taxes on the wealthy rages on, D.C. has already made its move. On Tuesday, the City Council narrowly approved a tax hike on those making more than $350,000 a year. The measure raises the tax rate by 0.45 percent, affecting about 6,000 D.C. residents. Is the D.C. tax hike fair?